After cross country, there was a competitor’s dinner over at the grand stand and the stadium course was open for walking. We ate quickly and then went over to walk the course. Either enough people complained or they finally just decided to be nice, but they moved stadium into the circular arena inside the track instead of the grandstand/rodeo arena with the cattle chutes. Yes! Now I had a chance. I could maybe end this event without getting eliminated or adding 85 penalty points to my score. The change in arena also brought about a nice change in the course. 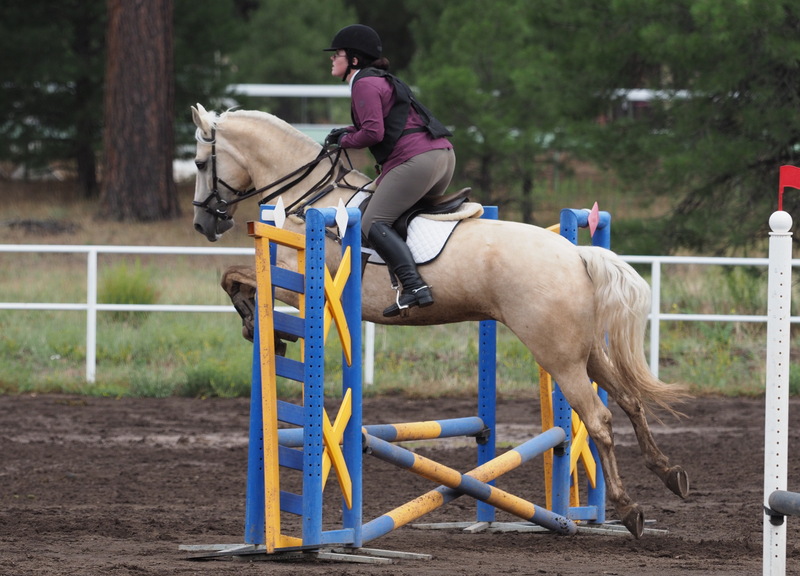 While the first week’s course was very hunter-esque, this course was a jumper course with bending lines and rollbacks and tight turns. 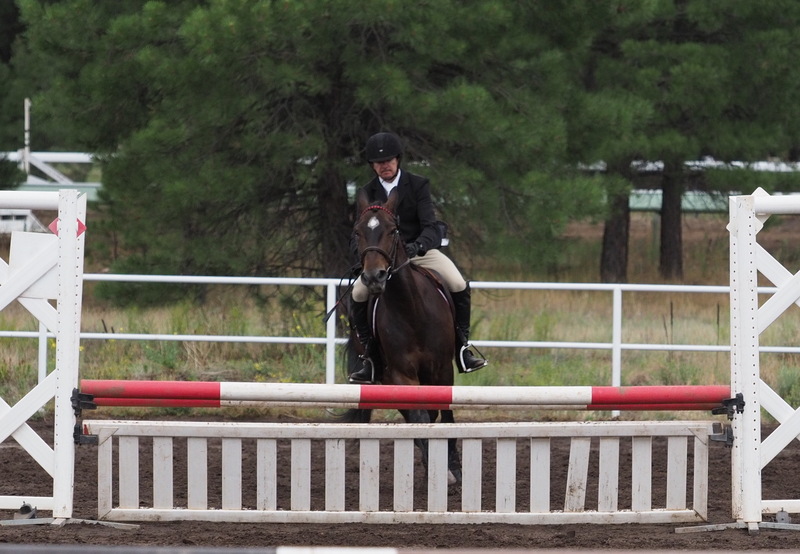 It was a challenging course made even more so by the fact that the whole arena was still half under water. We walked the course thinking this would be a hard turn to make anyway and now you have to decide if you wanted to risk slipping in the mud or make a tighter turn/more awkward line to avoid slippery spots. We camped that night, which was convenient for early morning jogs. Jogging at 9 was actually really annoying though. My husband didn’t jump until 2:30 and it would have been nice to sleep in a bit and have lots of time to braid, but instead we got up early and put in a rather rushed.running braid. After jogs, we had hours of down time. Because Intro was last and I was still in first, I was going at the very end of the day at 4:02. We wanted to be on the road ASAP for the long drive so we packed everything that we could and drove the truck and trailer over to the stadium area. Then we still had hours of time and went over to stadium to have lunch and watch the other divisions go. Well, my husband ate lunch and I felt too sick with panic to eat real food and kinda ate some Cheetos. The other problem with going late for me is that my nerves make it impossible for me to eat. The earlier I go, the better. It was finally time to get Eugene ready for Stadium. Although I love the proper format of Dressage, XC, Stadium, Eugene usually does better at Stadium before XC. Stadium is still his weakest stage and doing it when he’s tired after XC doesn’t always go well. Even though they were stepping down a level to BN, I was worried that he might be even more tired after a full long-format XC. Luckily for my husband, two riders had penalties on XC and he’d moved up to 3rd. Besides, with only five people in the division – aside from getting eliminated – they were guaranteed a ribbon. 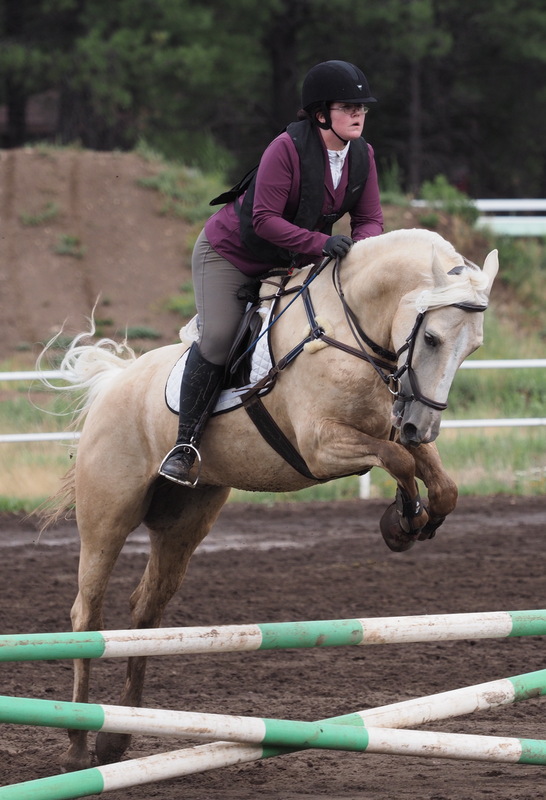 Although the arena had dried out a bit overnight, it was still very wet. When we were hanging out watching stadium, we saw a lot of horses slipping in the mud. Some other horses had objections to going in the puddles. It was a tough course made tougher by the footing. 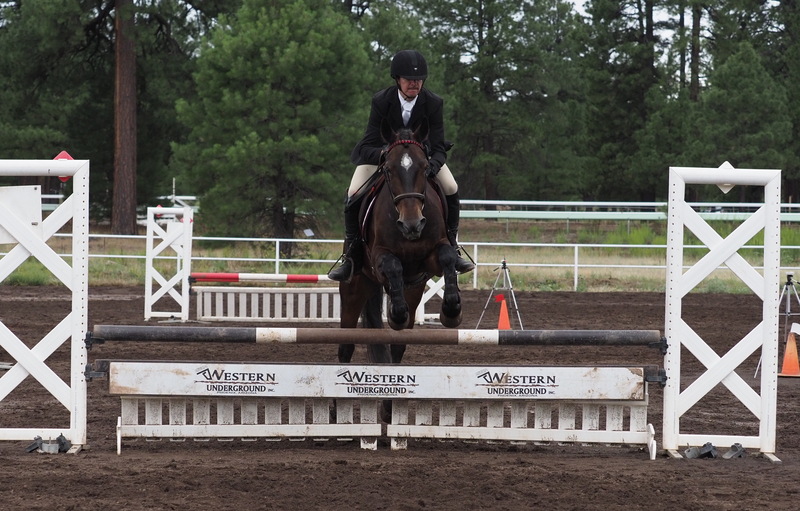 While Eugene might not be the most sophisticated jumper, he’s the most sure footed horse I’ve ever known. 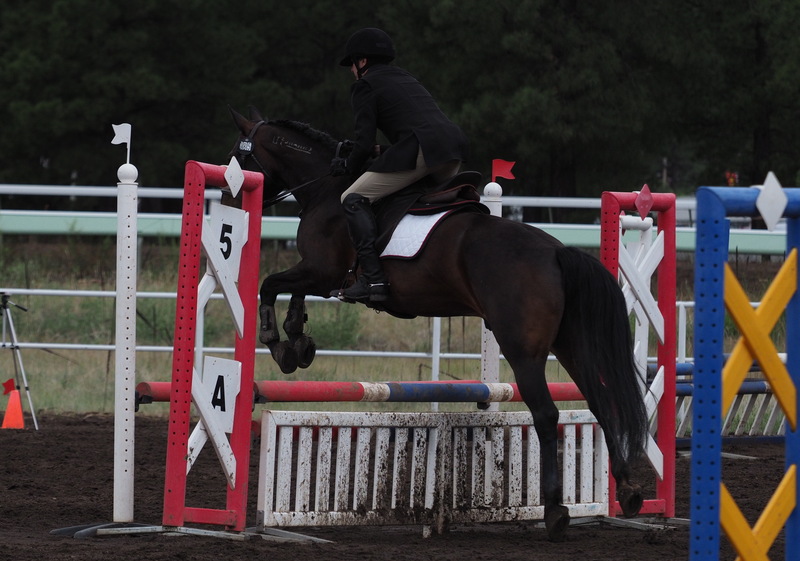 And he regularly jumps things awkwardly so I think he was pretty well prepared for that footing. The first two jumps went well, then they took a weird route to #3. #3 and #4 were in a line so I’d been very clear during the course walk that they needed to hit #3 straight on. When they went too far, my husband over-corrected the turn to get them centered. Although Eugene is green, he’s a special type of green. 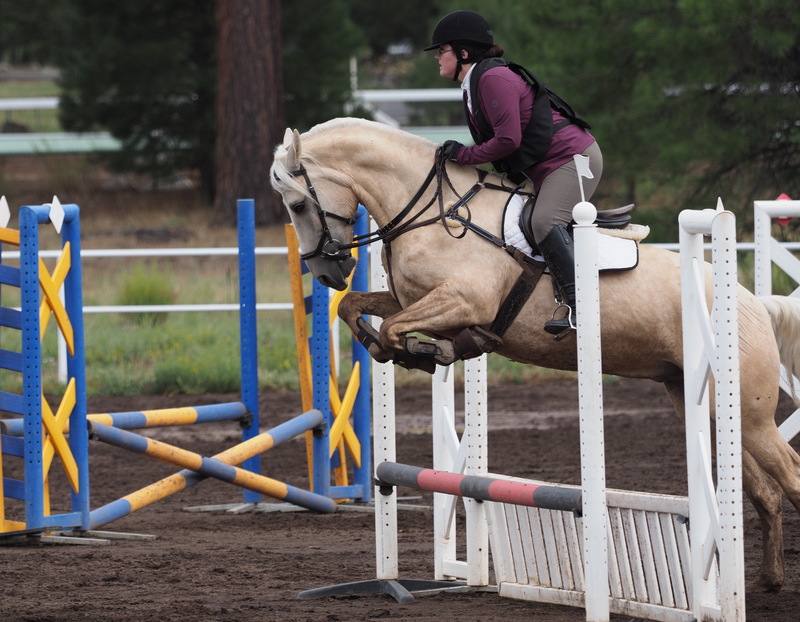 He doesn’t get upset when his rider doesn’t do everything correctly. Instead he simply has no idea it could be better. Super weird line? Yeah, sure, I’ll jump that. Straight down the line to #4 and still clear. The turn to #5A was tough. It would have been tough normally, but with the giant puddle in the way, it was even harder. With it being a 2 stride combination, this was one of the tougher questions of the course. 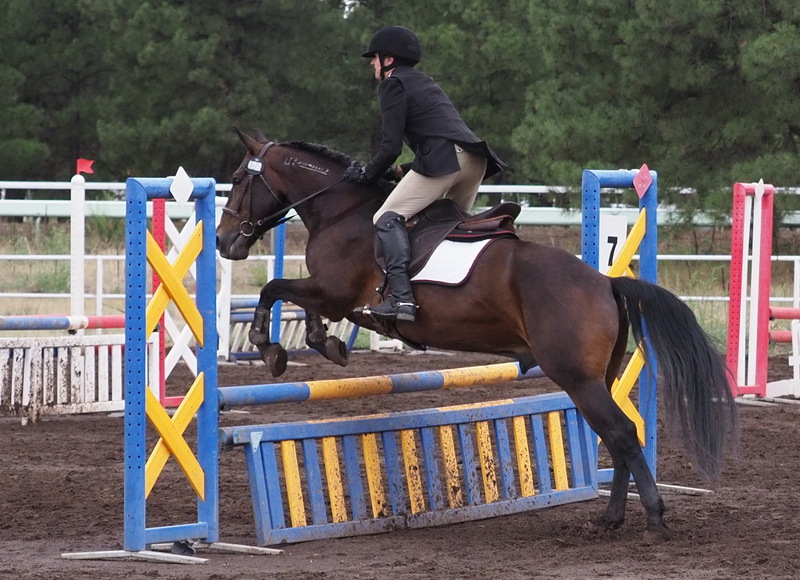 I saw a lot of refusals and rails at 5 during the day. But Eugene was perfect. He did find in necessary to put 3 strides in the two stride, but that’s normal for him and in that footing, even more to be expected. And around to #7 and #8. This was a tough bending line and the place I saw the most refusals at #8. Seriously, we were in the stands for hours; I watched a lot of horses go. Then I watched them come around to #10 and Eugene was like, you though #9 was a long spot? Hold my beer. But he was clear! As soon as they left the arena, he was met by someone giving out a ribbon and a medal for completing the long format. As the rain began really pouring down, I finally just called out to my husband to grab the ribbon. Let’s get to the fun part before it pours. 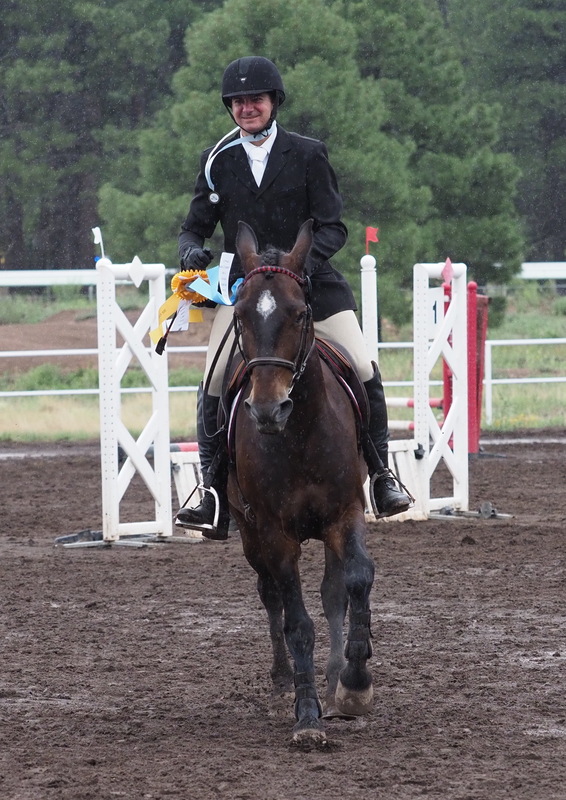 No such luck though; they got to do their victory gallop in the rain. Finished on their dressage score! I was up next. We brought the boys over together and tied Eugene at the trailer so we could make a hasty exit as soon as I was done. The change in arena was great for us, but I’m fully capable of working myself up with or without a reason. Although I wasn’t so worried about being eliminated in the new arena, I was concerned about embarrassing myself in front of the large crowd. Being in last or going in random order is way better than being in first with everyone waiting around for the awards ceremony after your ride. 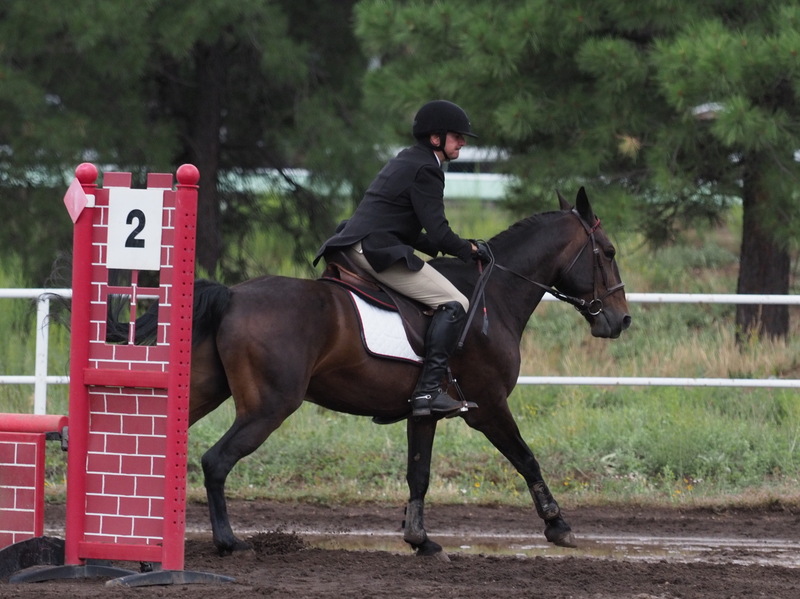 There were so many people entered in the Intro division, they ended up splitting it. The senior division still had 17 people in it. Because they ran juniors and seniors together, everyone was gathered around waiting for the awards ceremony and I really did not want to embarrass myself in front of a crowd. 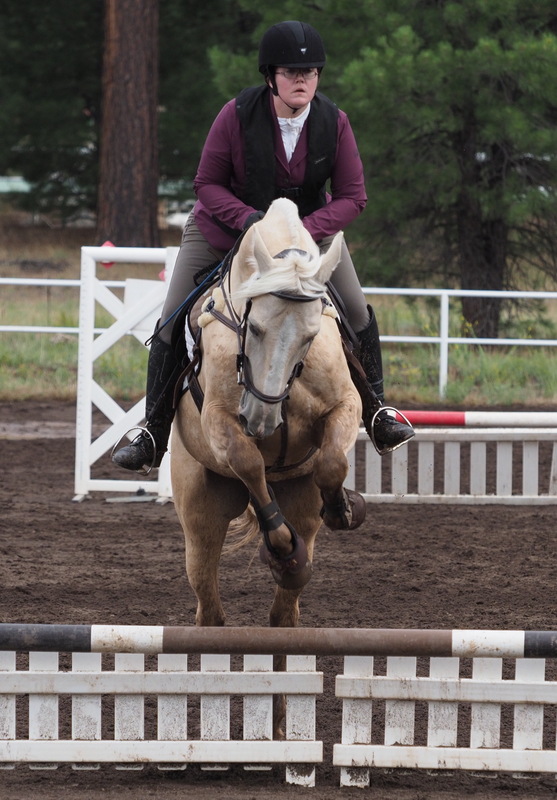 While the final course had been moved to the good arena, we did have to warm up in the terrifying rodeo arena. 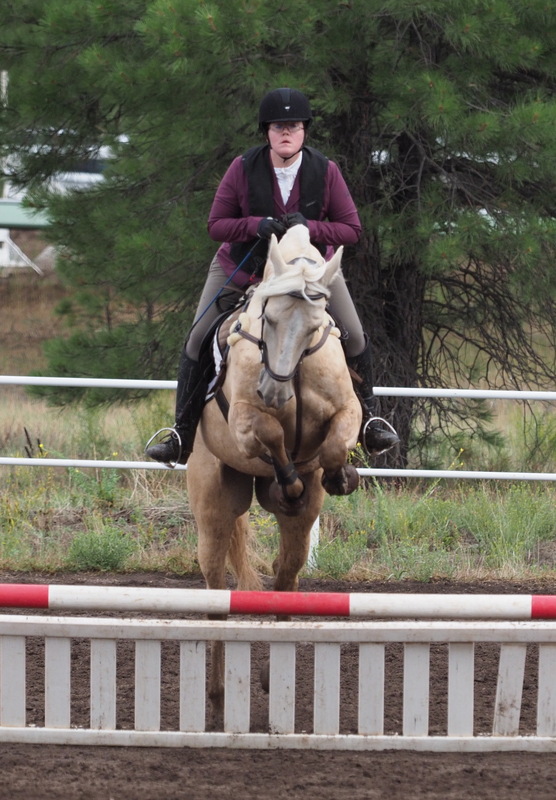 Levi spooked a bit about it, but we’d spent a lot of time in there and I wasn’t rushing him towards a jump 20 seconds after entering the arena. 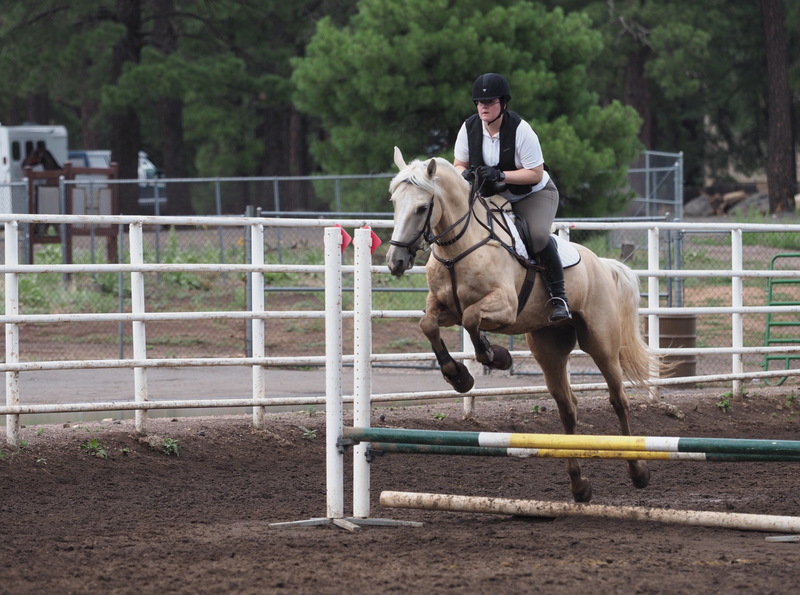 We had time to trot around and spook at every single inch of the rail before we had to do any jumping. 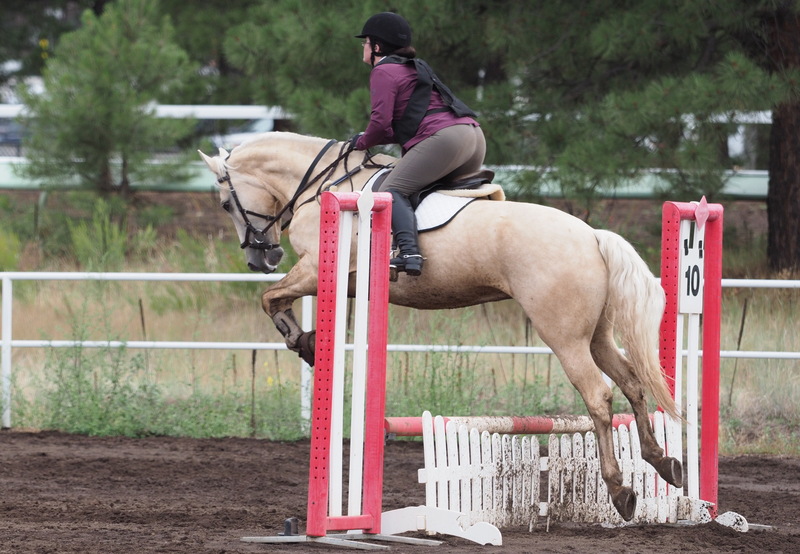 When we finally did a jump, he was over it. Since the course arena was still half under water, I did a bit of work on going through puddles and then we mostly worked on pace. I asked him to go forward and come back and he was just like, yeah sure. What the hell? Where did this horse come from? He was being good so I stopped and stood for a while outside the arena until I was a few out. Then I made him jump one last jump to make sure his head was still in the game and we went down to the arena of doom. For no reason whatsoever, I was very convinced this was going to go poorly. The part of my brain that’s in charge when I’m competing is not logical. Then we were in the arena. 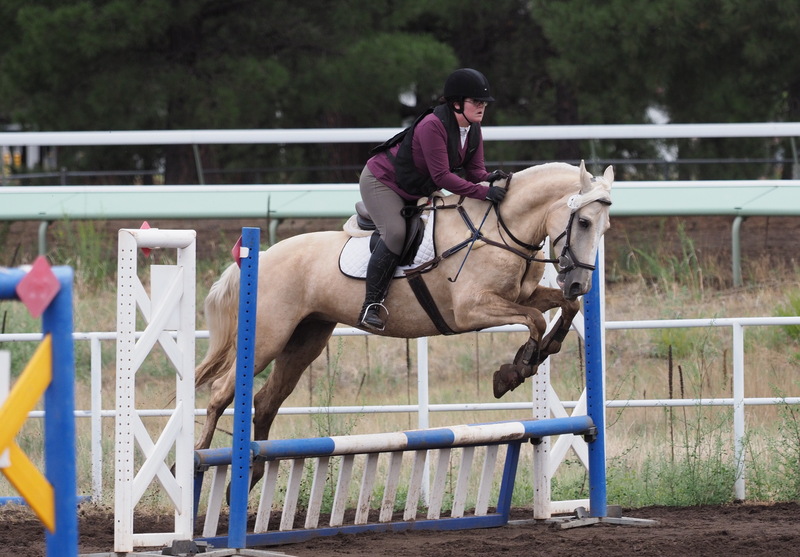 We had a bit of an argument circling to the first jump because he picked up the wrong lead and did not agree with my assertion that we should trot to fix it. He wanted to go. We took the first jump, made the turn to the second and he was fine. There was no bucking, no head snaking, no attitude. After #2, he had to go through a puddle and he didn’t even flinch. 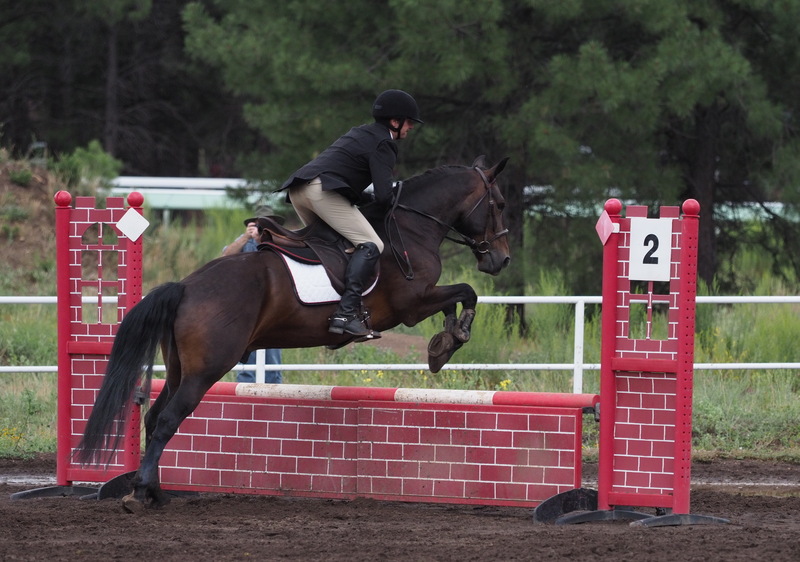 Just went where I pointed him and jumped the next jump. Then we cantered down the line to #4 without issues. 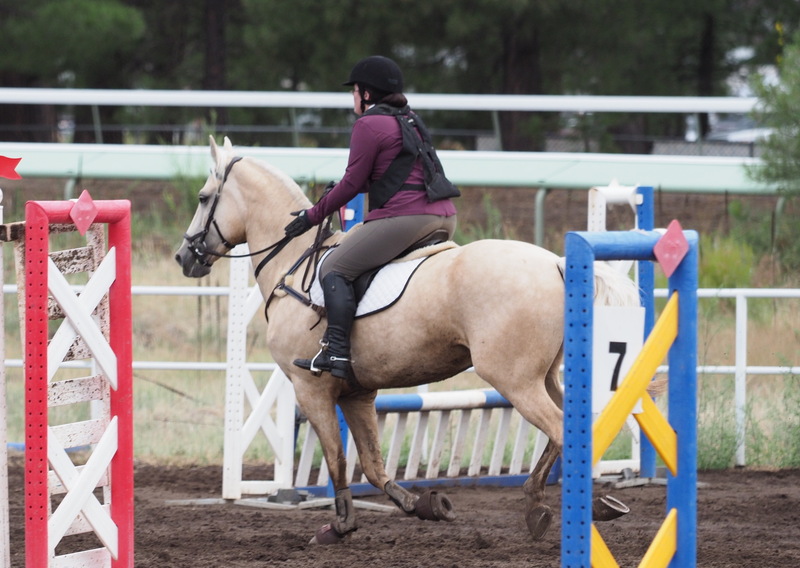 They removed the first jump of the #5 combo for Intro, which was great because I had more time to get straight after the turn and didn’t have to go as deep into the puddle in the corner. Although I ended up going fast enough to make the time for BN, I didn’t know that at the time. 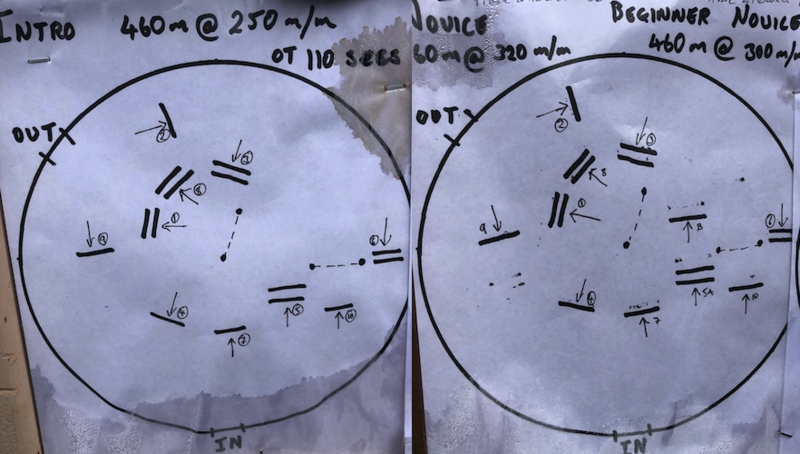 While I was riding the course, I really appreciated having a slower mpm at Intro because it let me slow down to make the rollback through the puddle to #6. 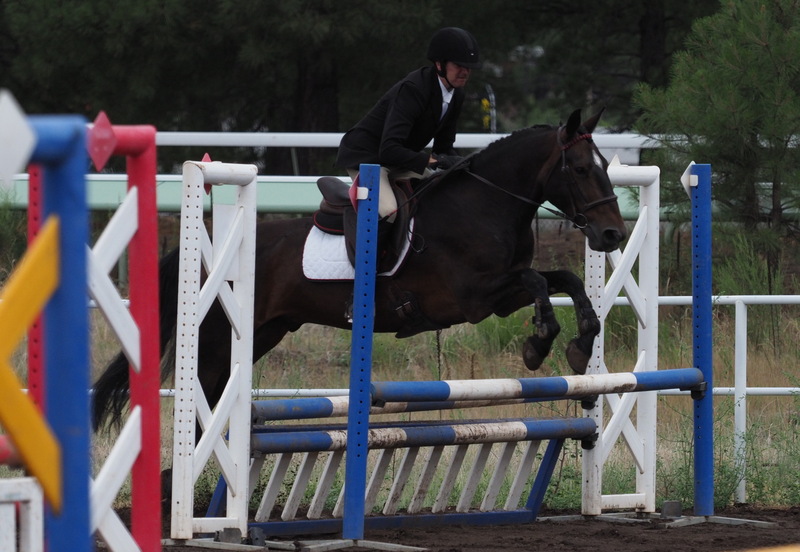 Jump #7 was ridiculously awkward, but he was clear because it was tiny. Not knocking it down was great and all, but even better was he didn’t have some sort of temper tantrum because it went badly. He just landed, cantered on, and pricked his ears when I turned him to #8. 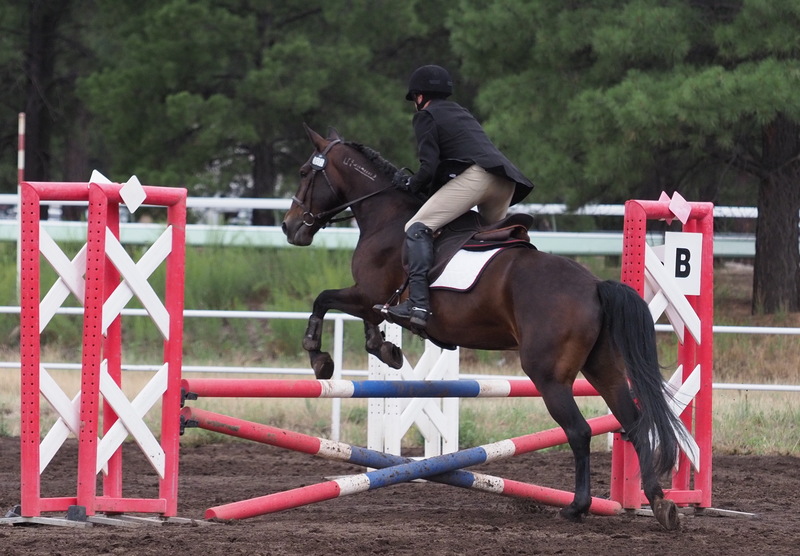 Jump #8 was in a straight line to the exit gate and Levi had a brief thought about exiting right then and there, but was willing to be redirected to #9 instead. Then we were around the side one more time and over the last jump. 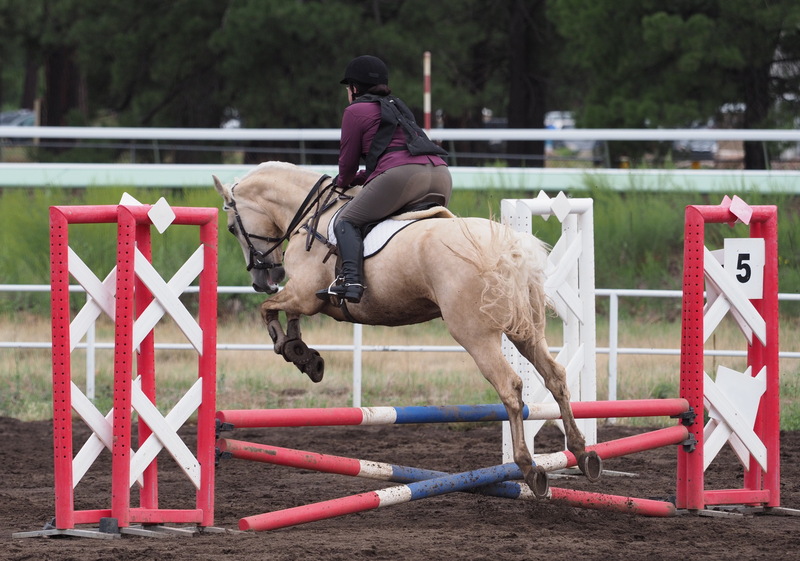 There was a long pause before anyone clapped and I had a brief moment of fear that we’d knocked something down, but the announcer declared me double clear. 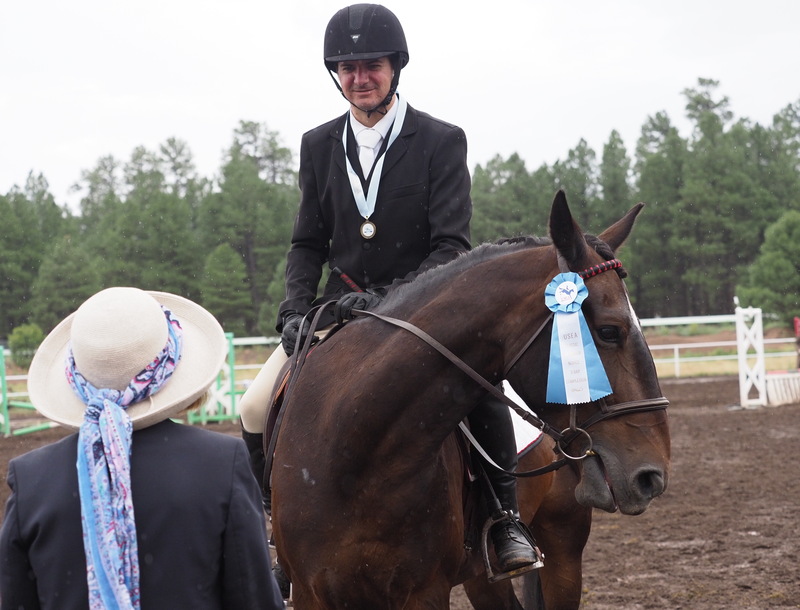 I’m not even going to pretend I didn’t want to win that ribbon, because I wanted it. Yeah it was Intro, yeah we could do better, yeah I was supposed to be there just for the positive experience. Those things are all true, but I still wanted to win! The best part though? Is that we didn’t luck in to winning. 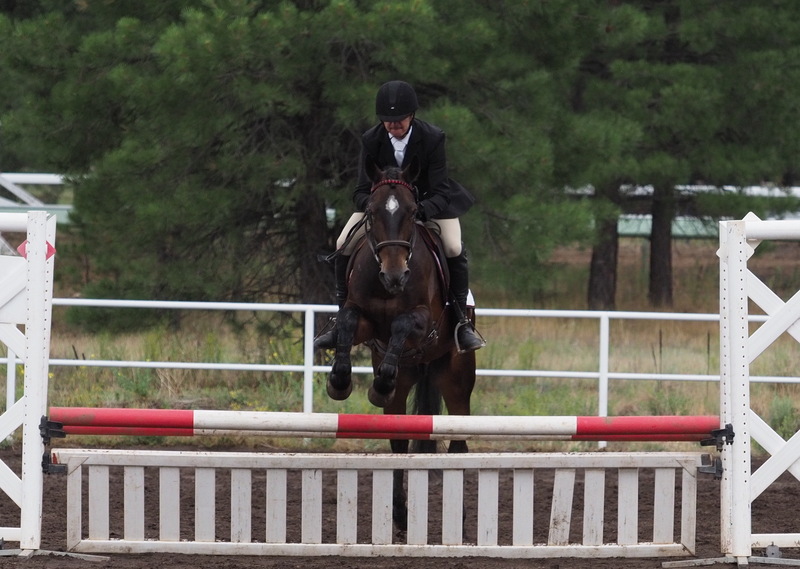 We didn’t have a disastrous round, but squeak through clean just because the jumps were little. Not only was our stadium round double clear, it was f*cking enjoyable. He was calm and reasonable, I was actually in control, I didn’t feel like I was going to fall off or die at any point. To win on a weekend where we just went out there and did everything correctly was the perfect way to win. I only noticed my husband taking pictures because Levi turned to look at him. I swear he knows when there’s a camera pointed at him. And that’s a wrap on Coconino. The first week was rough, but the second week was pretty redemptive for both my husband and me. It was also a lot of fun. Thanks to all the readers who’ve stuck with me through all these posts. I know it’s been a long story, but I’ve enjoyed getting to relive it through telling it. Amazing! 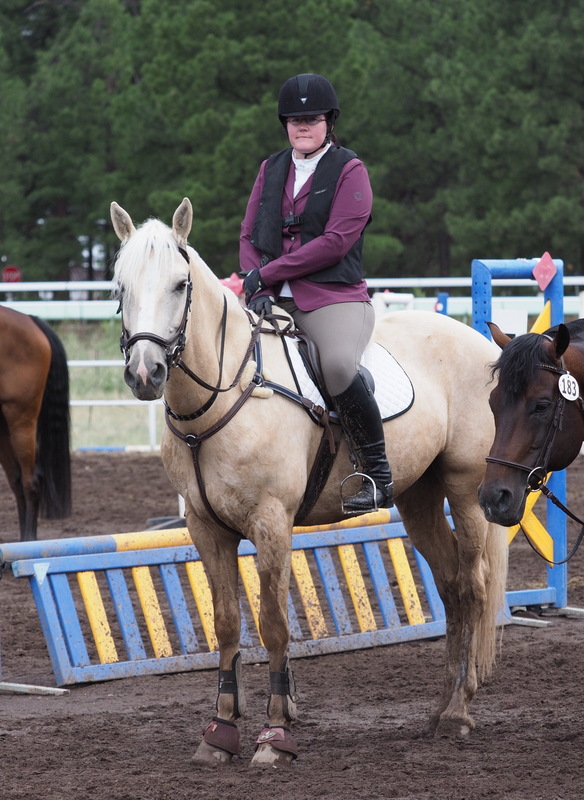 Emotions we can all relate to, with the roller coaster ride of horse ownership (and perhaps life). What a fantastic end to this chapter? Carrots, apples and easter eggs all around! Thanks. It was a good way to end the trip. Congrats!!!! The first place is amazing but even better is that you enjoyed it!!! Maybe the back to back weekends taught Levi and thing or two about his life. Way to stick with it and go get it done. Having fun was the best part. Congrats – you have certainly put the work in and deserved an event where everything came together!! I’ll take the congrats. I’m not sure I work all that hard though. Or at least, not as hard as I should. But it was nice to finally have a successful event. Congrats! 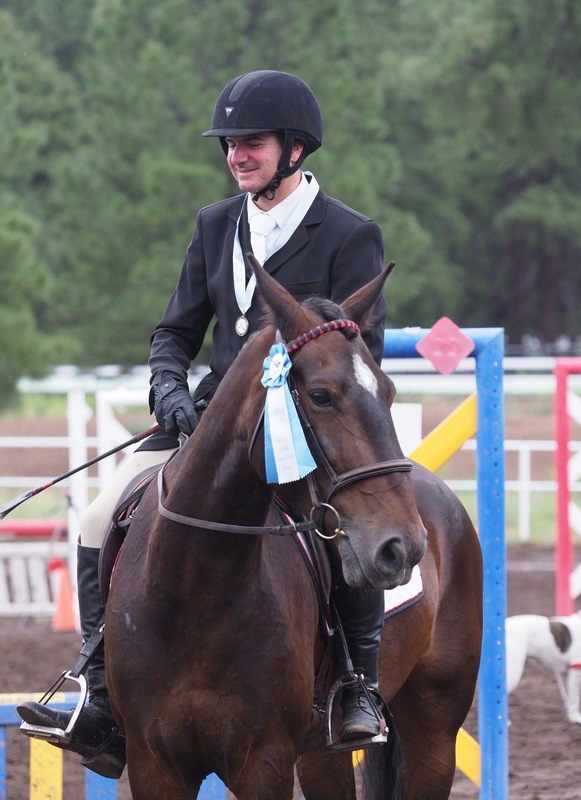 I love having two weeks back to back like that for the geren horses, it seems like it just really helps things click for them. It was really helpful. Our Area has a rule against having back to back HTs, but I really think it was a really helpful learning experience. I would totally do it again. Awesome! It’s been a long time since I’ve had a positive show recap. Still missing the mule. Yay! Congratulations!!! What an awesome way to end your 2 week trip!!! Glad Levi behaved himself and you guys ended the weekend on such a positive note! I did not spoil myself and have been waiting for this end result. CONGRATS to all of you you all worked hard and whew that was quite an undertaking recapping all that. Kudos to you on that too! YAY LEVI he behaved 🙂 YAY Eugene. I am exhausted for you all i hope you got to rest a bit after those 2 weeks!! Thank you for sharing the voyage thru it all. I loved watching Levi improve (and Eugene just be Eugene)!! Man you’ve got willpower. Apparently everyone else cheated and went to Startbox. There’s no rest for the weary. Well, the horses have had a bit of a rest, but I’ve been busy as all get out, hence it taking forever to get this series done. Well done everyone! What a great second week. So much better than week 1. Awesome, so proud of all 4 of you!!! Way to go Team Mustang! Team Mustang! There were actually a few Mustangs at this event. It’s good to see more of them getting out there. This was such a fun experience to read about! And what a way for both of you guys to finish it. Congrats!! It was the perfect way to end the series. It’s crazy how crowded the Intro division was. They hadn’t even split it at first and it would have been 29 people. thanks! It was nice to feel like we were a team. Congratulations! That’s awesome that you won AND had a great time!! It was really nice to actually enjoy an event after so long. Woot! What a way to end the 2 weeks! So happy for you and your hubby and that it all came together for you and you WON! Levi looks so pleased with himself in front of the camera too haha. Amber knows when there is a camera as well! Such a ham lol. He’s a total ham. People fawn over him and I think he’s just come to expect adoration from all. What a wonderful event for you both! I love how you just clicked with Levi at the second one and had such great rides. You have stuck through so much with him and the win was well deserved!!! The second weekend was pretty redeeming. So fun and so great to hear you and Levi came together to make it happen! 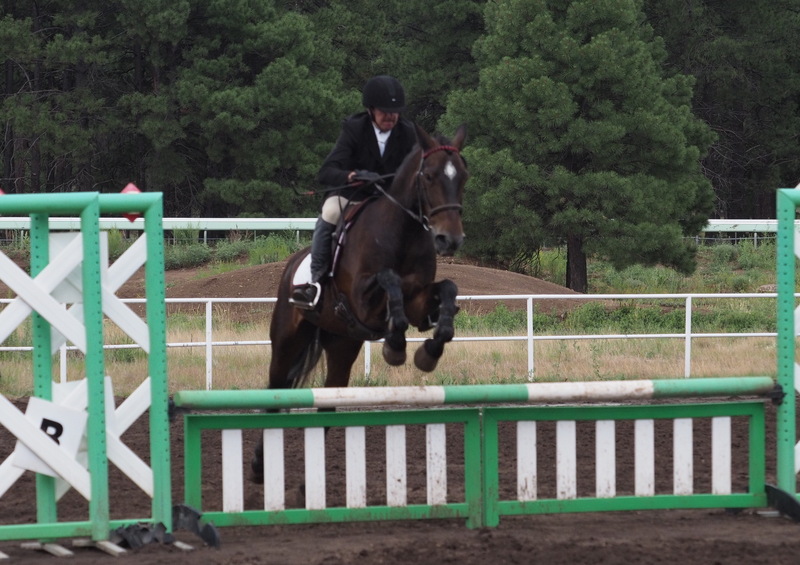 I actually cheered out loud at the end when the announcer said you were double clear! It was nice to finally feel like a team. I am SO glad to see you guys earned a very well deserved 1st place 🙂 Hopefully it’s onwards and upwards now!! I do try to tell the real story with my posts, though it’s not always what people like to read. Levi, Levi, LEVI. What a good boy! So fun to read the whole series and see the happy ending. Congrats on some very good rides. I hope your golden weirdo is on the upswing. Let’s hope he keeps it up. I am so freaking happy for you!!! Well done!